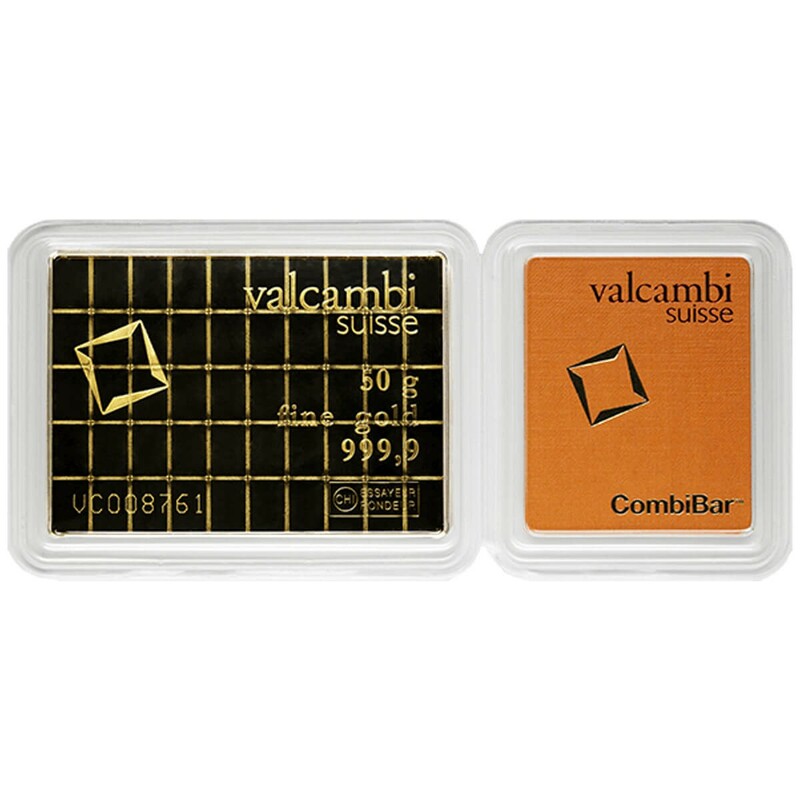 The Valcambi Combibar is a fairly new product that is unique in the precious metals industry and has resulted in similar products copying its success. 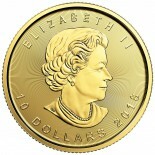 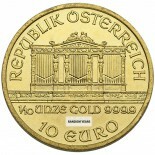 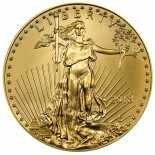 It is a 50 gram bar (1.6075 troy ounces) of .9999 gold, segmented into 1 gram segments that can be broken off for gifts or to use in trade or exchange. 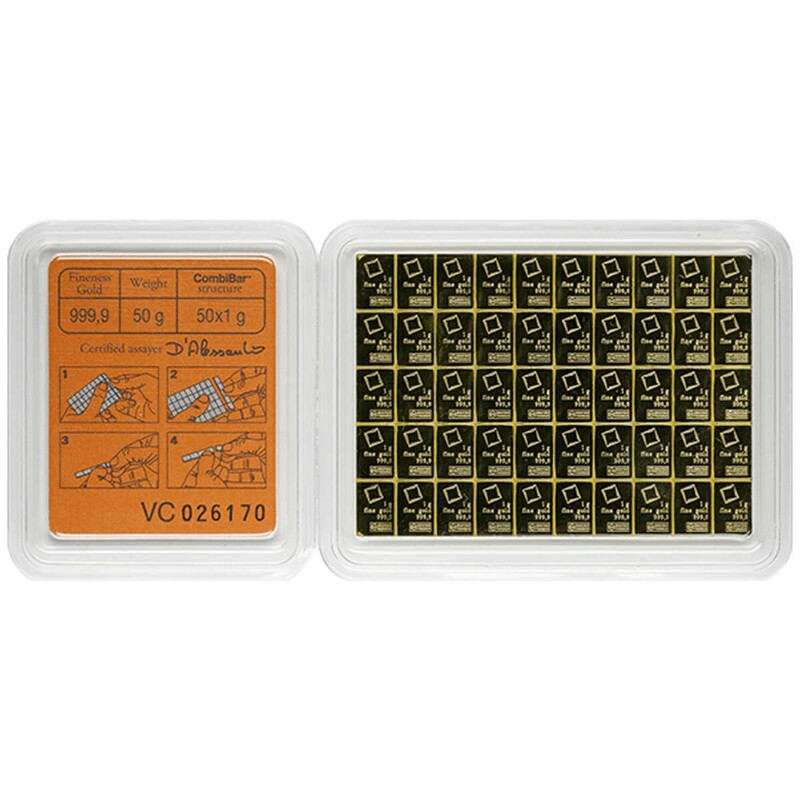 Valcambi is a well recognized name in the industry, beginning in 1961 as Valori & Cambi.